North Memorial Health Care of Minnesota has agreed to pay $1,550,000 to settle charges that it potentially violated the Health Insurance Portability and Accountability Act of 1996 (HIPAA) Privacy and Security Rules by failing to enter into a business associate agreement with a major contractor and failing to institute an organization-wide risk analysis to address the risks and vulnerabilities to its patient information. North Memorial is a comprehensive, not-for-profit health care system in Minnesota that serves the Twin Cities and surrounding communities. OCR initiated its investigation of North Memorial following receipt of a breach report on September 27, 2011, which indicated that an unencrypted, password-protected laptop was stolen from a business associate’s workforce member’s locked vehicle, impacting the electronic protected health information (ePHI) of 9,497 individuals. The Resolution Agreement and Corrective Action Plan can be found on the HHS website at:http://www.hhs.gov/hipaa/for-professionals/compliance-enforcement/agreements/north-memorial-health-care/index.html. Risk Management is the practice of identifying potential risks in advance, analyzing them and taking precautionary steps to reduce or curb the risk. What Is A Risk Analysis? A Risk Analysis is an assessment of the risks and vulnerabilities to any sensitive information that your organization may collect, store, process, transmit, or share with others. After an organization has identified all of the risks to the confidential information that it collects, stores, processes, or transmits, a determination of “What to do with those risk elements?” must be made. An organization has the choice to accept identified risk. However, that decision must be made with thorough and comprehensive knowledge of the potential damage or liability that acceptance implies. The acceptance of risk must be made by executive management, and be based upon all of the available information. Executive Management must make this determination clear, and security policies should be updated to reflect the determination. An organization has the choice to transfer the risky behavior or the risk liability to another party. An example of transferring risk might be obtaining data breach insurance so as to reduce the liability in the event a risk is exploited. Another option is to transfer the risky activity to another party. An example of this might be outsourcing all credit card transactions to a third party that accepts the payment for a percentage of the charged amount. ​Another option includes the complete elimination of a risky activity. If risk cannot be reduced sufficiently so that it is acceptable to executive management, and it is not reasonable to transfer that risk to a third party, then an organization may decide to eliminate the risk entirely. In these cases an organization makes an executive decision that the revenue opportunity is not sufficient to justify the residual risk after mitigation strategies are applied. ​By far the most popular option is risk reduction. Risk reduction is accomplished by many methods. An organization predominantly employs multiple strategies including those above and implementation of reduction strategies and controls. Controls typically include policies, procedures, practices, processes, technology, logs, checklists, and the like. RISC Management employ experts with extensive experience in these techniques. 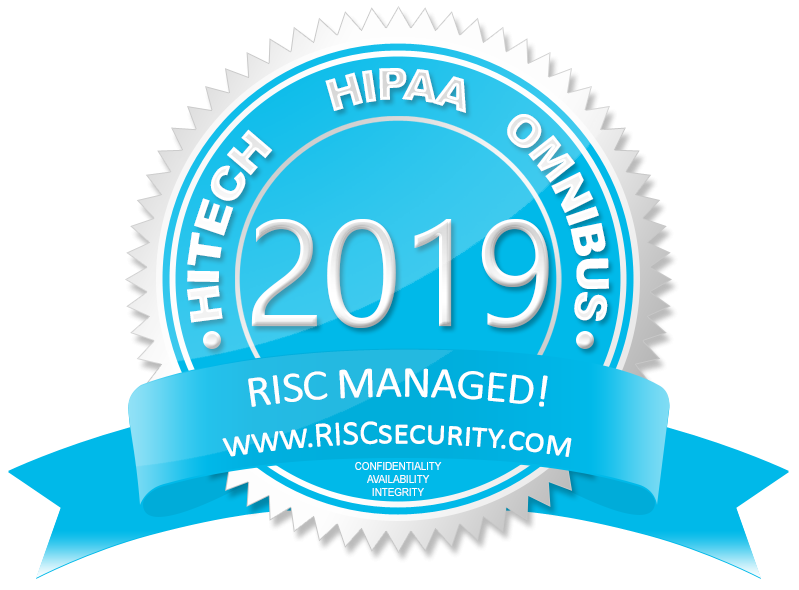 RISC Management and Consulting, LLC can assist your organization in identifying, documenting, addressing, and eliminating risk to all your sensitive information. Contact us today to find out how!